The OWL (Orphaned Wildlife) Rehabilitation Society is a non-profit organization whose staff and volunteers are dedicated to public education and the rehabilitation and release of injured and orphaned raptors. OWL became a registered Society in January 1985 (Registration No. S-19879). We are licensed through the Ministry of Forests, Lands, and Natural Resource Operations. OWL is on call seven days a week, twenty-four hours a day for any raptor emergencies. 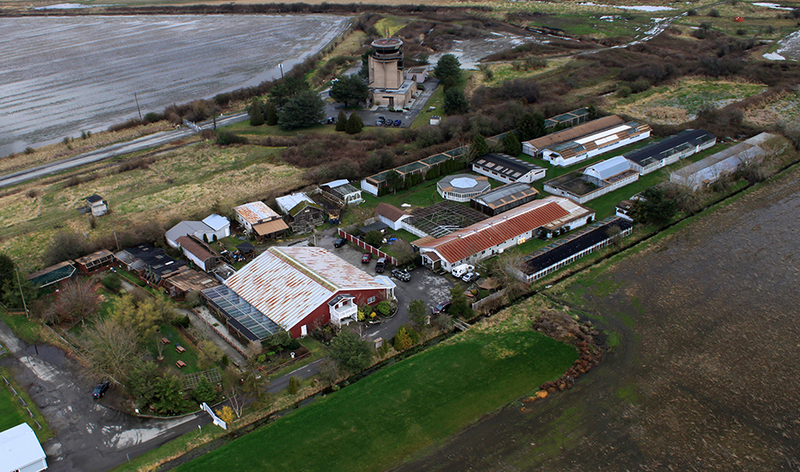 The facility specializes in raptors (eagles, falcons, hawks, ospreys, owls, & vultures). Raptor patients at OWL number over seven hundred each year and are sent to OWL from all over British Columbia, other provinces, and the USA, with the majority of the birds arriving locally from the Lower Mainland with the help of a network of volunteers. We also get assistance from Conservation Officers, veterinary clinics, Police Officers, highway maintenance crews, and other community groups. OWL continues to expand their programs and the facility through public donations and the support of companies who provide monetary donations, sponsorships, materials, and supplies. We undertook development of a Wildlife Museum to enhance the educational programs and to increase public awareness of raptors, their habitat, and the environmental impact people have on the natural world. Over 46 non-releasable raptors reside at OWL as permanent residents, some of which assist with fostering orphans and some go out to schools and events as ambassadors to help educate the public. OWL offers onsite and offsite educational programs by an honorarium. Elementary school students visit to learn about raptors and the environment, and view our permanent residents including owls, hawks, falcons, and eagles. We run the “OWL in the Classroom.” program where an OWL educator is out in the schools five days a week, educates people of all ages about the importance of birds of prey in our environment, and what we can do to help these birds. OWL regularly accepts work experience and veterinary students from various provinces and even from other countries. The students obtain practical skills in raptor rehabilitation, including raptor medical care, handling, and husbandry.